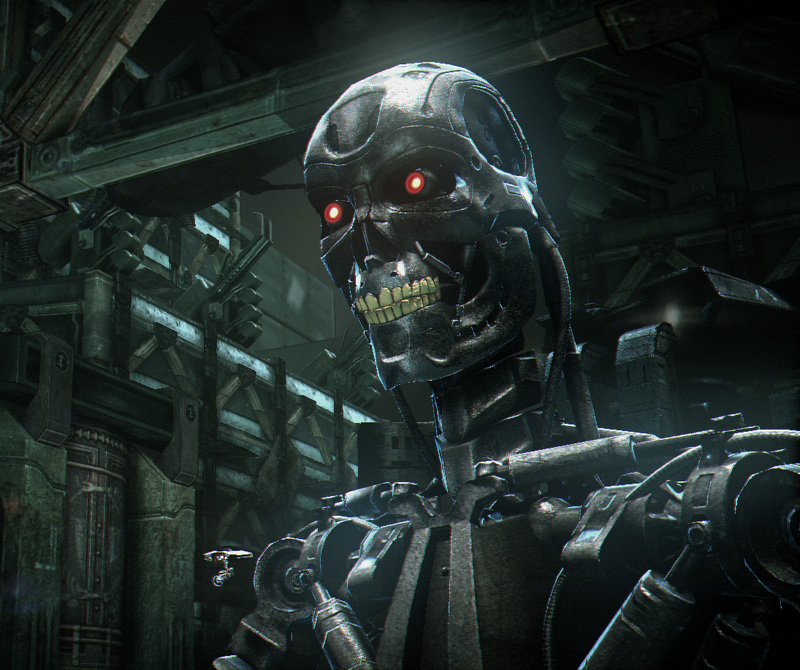 This is a single player experience for all terminator fans using the unreal engine III by Epic Games. set in the year 2029 you are placed in the boots a of soldier serving for humankind against the ruthless army of machines. The final campaign will feature nine chapters of a roller coaster ride, inspired by James Cameron's masterpiece franchise. Confront the many killing machines at skynet's disposal including the HK aerial, the HK tank, the mini HK, and the legendary T800 with an arsenal of futuristic plasma weapons. game by Kevin M. Bryant. custom content by Kevin M. Bryant. custom audio by Ben Sterry. original score by Thom Maggs. gears of war content by Epic Games. unreal technology by Epic Games. Terminator Franchise in honor to James Cameron. That looks amazing! Pretty much perfect! Now I get it why robots are rised against people. For stole their tooths! Oh my God, that's perfection right there! Amazing work dude! That's the BEST T-800 I've ever seen in-game man!